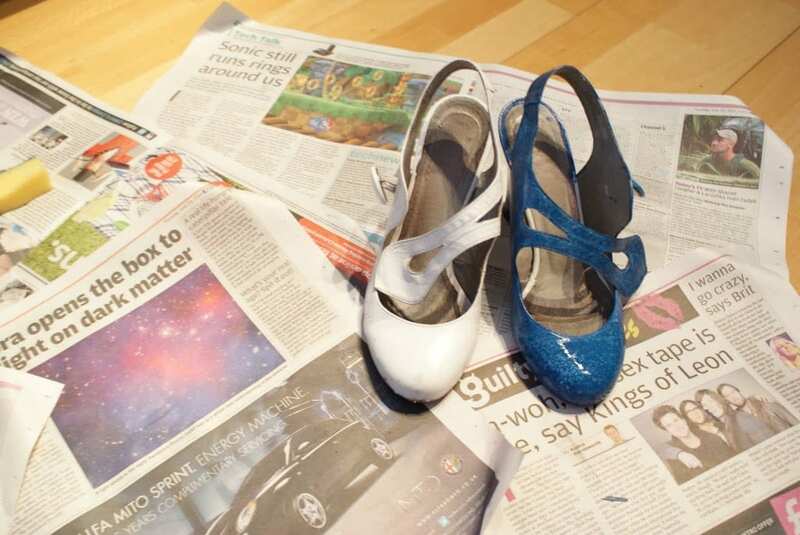 Todays tutorial we will be up-cycled my pretty white shoes into killer air-force blue ones. Magic? Close enough… this is super easy to do and the perfect way to itch that ‘I want new shoes’ scratch without breaking the bank. I’ve had my white shoes for a while and they were getting quite scuffed and sad. 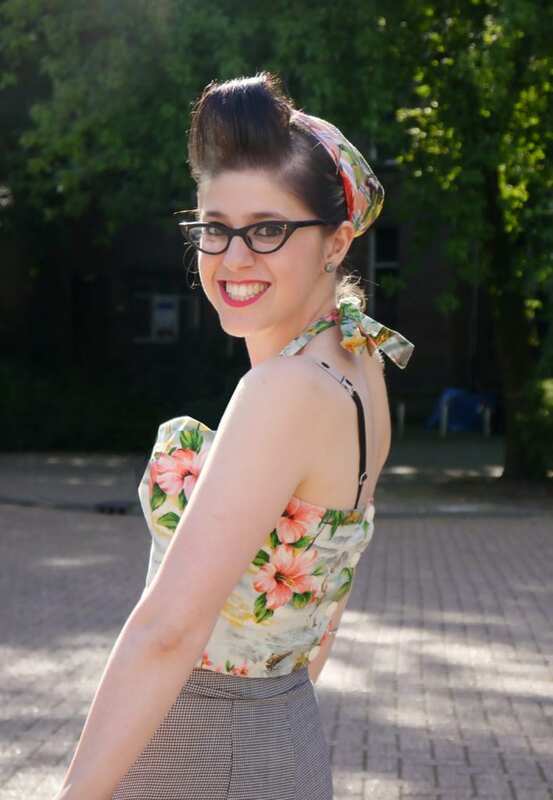 I wore these to my degree show opening so I can’t bare to part with them… I have also been searching high and low for a pair of super-cute blue shoes that would go with my mustard dress (also in the making!) but the blue I was looking for doesn’t seem to exsit on the highstreet. 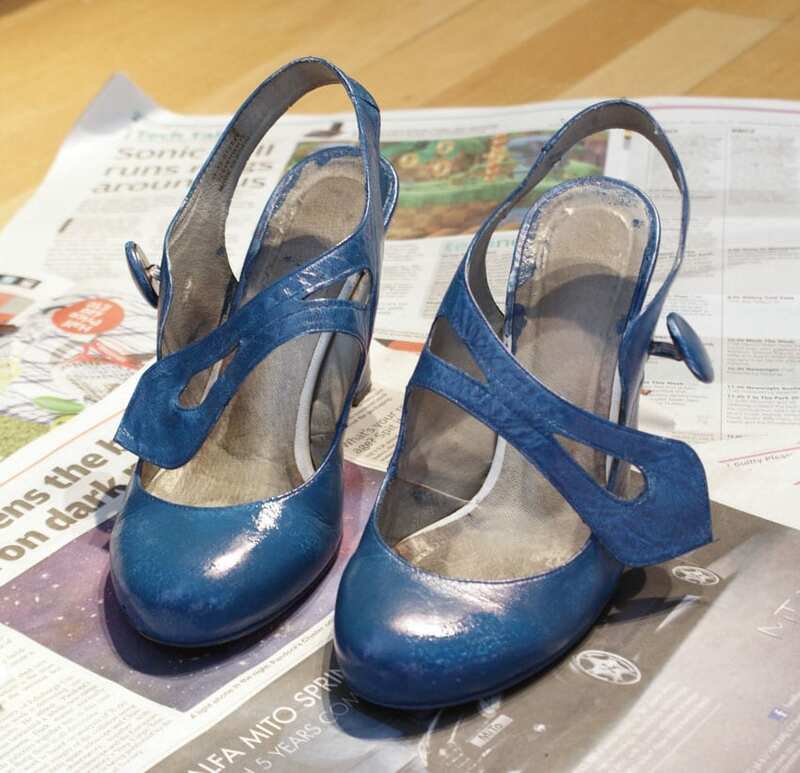 Refusing to be beaten we had a shoe epiphany… dye them! 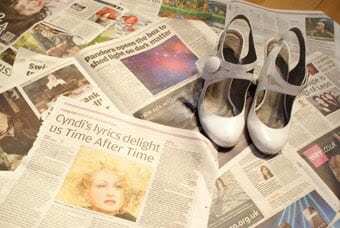 So, first up give your shoes a wipe down and cover your floor in newspaper. 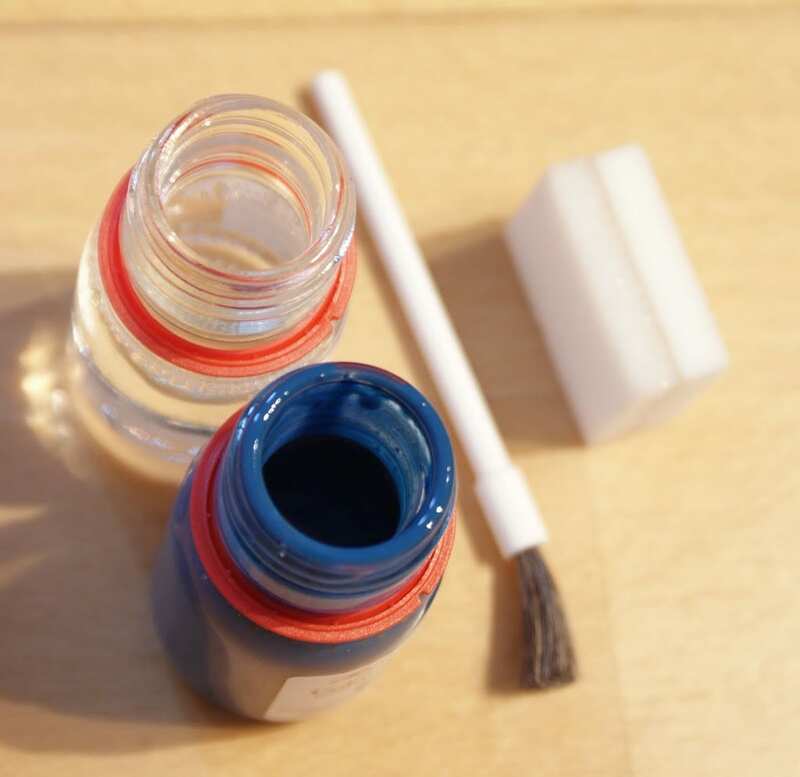 Although you can wipe this stuff off smooth surfaces, you don’t want to risk a permanent stain on your kitchen floor. Imagine what your mother would say if she saw it! Next up you need to get your dye out. We used Tarrago Colour Dye which has everything you need in it and it comes in 100’s of beautiful colours – perfect if you are looking for something a little more inspirational. It is also less than a tenner – happy days! As you will see it comes with shoe conditioner, leather dye, a wee brush and a wee sponge. All you need to bring is the shoes! See, paint on my fingers already! Looking good thus far… as you will see I just went ahead and painted the whole strap there, but I will go over it with the sponge too. We are quite excited now! If you would like to customize with more than one colour, use masking tape to block off anything that you don’t want covered. That way you wont paint it by mistake and you can peel it off to reveal your un-touched leather once it has dried. 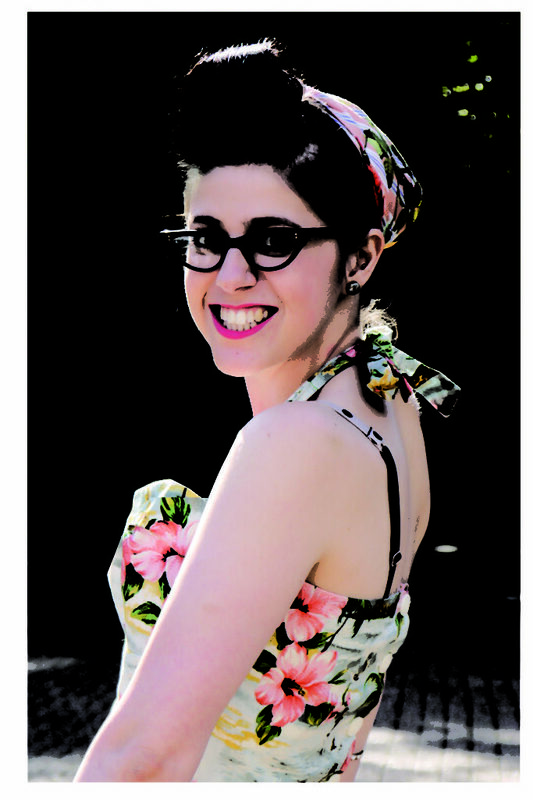 You could always fill it in using another colour of dye if you were feeling adventurous! So, when you are covering the rest of the shoe you want to rub the dye in using the sponge in circular motions. This is to make sure that the dye gets sucked in opposed to just sitting on top of the leather. You will need to do this a few times to get the colour really bold; try and let them dry for as long as possible during each layering session, although we found it difficult! If you do it too quickly you will just start lifting off the dye. 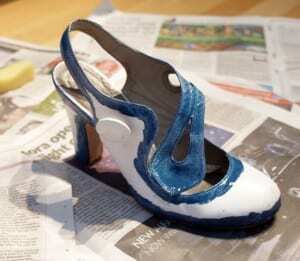 The darker the original shoe colour, the more time and layers of dye will be needed. This bottle lasted really well for us and if used well could do a good couple of pairs of shoes, so you probably wont need more than what’s provided if you were to go from a black shoe instead of white one. Anything is possible! We also found that this dye was really good at evening out after the second coat, so don’t worry about that too much when you start out. Mind if it’s a little out they will be so far away on your feet that you probably wont notice it! These bad boys are all painted up and ready to go … after a few hours beauty sleep that is! The box recommends about 5 hours drying time but we recommend leaving them overnight to be sure. You dont want to get dye running everywhere afterall! 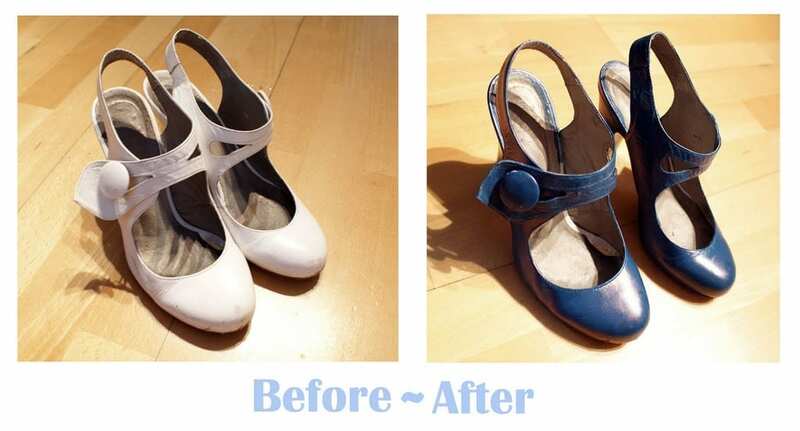 If you have a specific date in mind for outing them we would advise starting your shoe makeover a few days in advance to ensure they are good to go. That means you can test run them too; you don’t want to be caught out and shoeless if worse comes to worse! Jealous? You should be! Me and my bird are super delighted with these 🙂 they are so soft and shiny – no one would guess that they started out looking worse for wear and a completely different colour. Even my little scuffs are disguised making me a very happy lady! To top them off we also stuck on a few layers of multipurpose shoe protecter to keep them in tip top condition, but it is great to know we have some dye left at home if they get a little tired with age…. Not only extremely eco-friendly but cute and unique too. Winner!